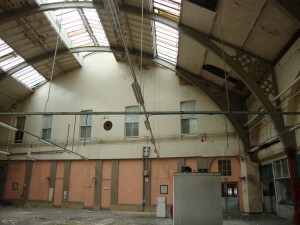 Today I had the honour of having a sneaky peak inside a building in Stoke on Trent that the council are desperate to save. 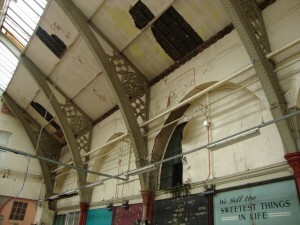 The building is the old Indoor Market in Burslem. 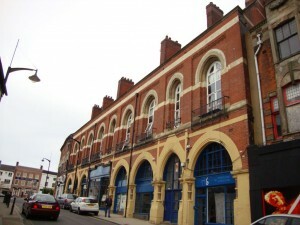 It a beautiful Victorian building which occupies an area of 11,000 square metres in the town centre. 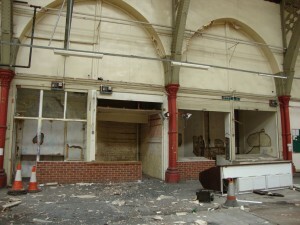 Sadly the market closed in 2005 and since then has fallen into disrepair. 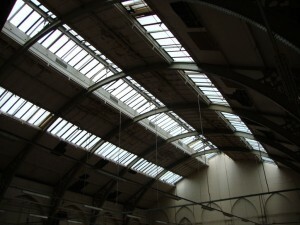 The incredible steel roof structure is reminiscent (on a smaller scale) of the likes of Kings Cross and St Pancras Station in London. 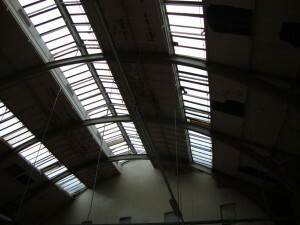 But it is a roof which needs work – and it needs a lot of money spent on it – estimates for the roof repair are in excess of a million pounds. The building truly is magnificent and has great kerb appeal. 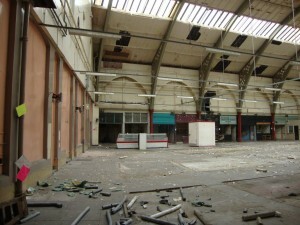 There is great potential here for a mixed use development site to suit both residential and commercial purposes. 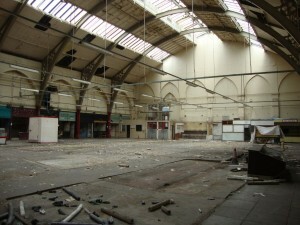 And with 11,000 square metres you’ve got enough space for a variety of ideas! 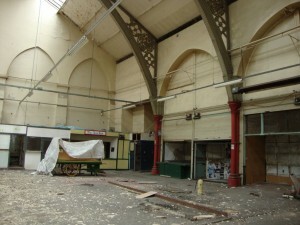 The council are desperate to find a brave, rich and inspired developer who could assist them in bringing this building back to use, and there is real flexibility for the right developer – could this be you? This really is a REAL opportunity that exists right now – if you are interested, please get in touch, it would be wonderful to see this building back in use. Are the council looking for offers or for some one to jv with? Wow looking at it, it certainly does have great potential!! I am not so sure brave is correct, but having the money and vision would make this work. Yes – vision is a better term. Adam – the council are open to anyone who is serious and who has a plan of action!